Blimey! 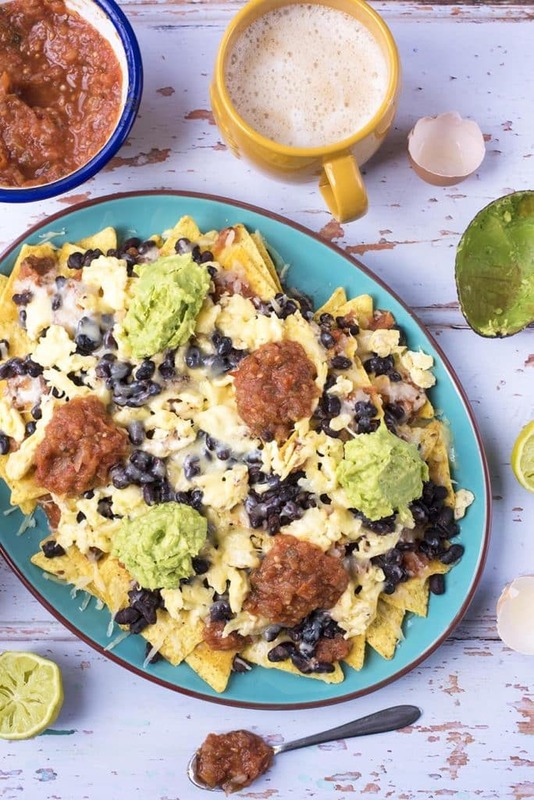 I love nachos to have them for breakfast I’d need to lay in until 10am at the very least…my tummy can only cope with a cuppa tea some mornings! Oh well, a lay in it is then!! Ha ha, Lynne would love love this! Ohhhh I love nachos. We love these when we’re watching films. I probably couldn’t do it for breakfast! 😀 A great recipe! Delicious. 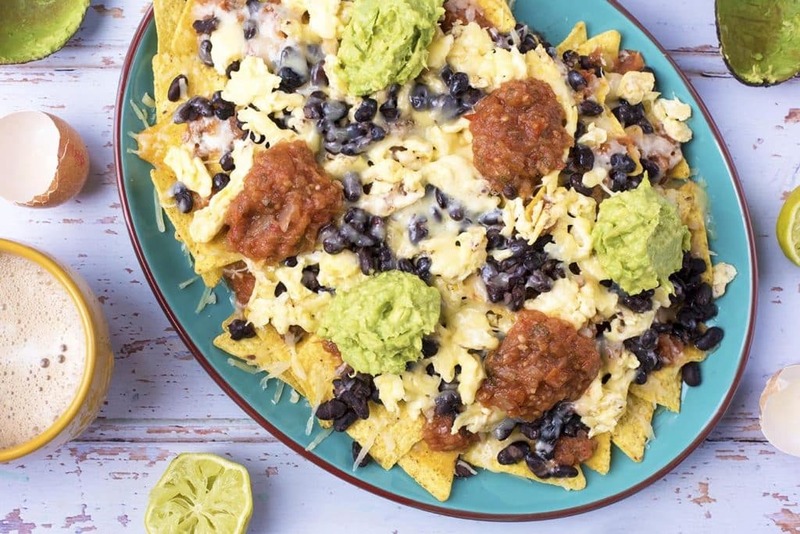 I love nachos but I would have never thought of eating them for breakfast. What a unique recipe! Definitely one to try – with scrambled eggs on top, it sounds like this would go brilliantly with a sprinkling of dill. Like you say, eggs are so incredibly nutritional it’s amazing they aren’t incorporated into more hangover-busting meals! 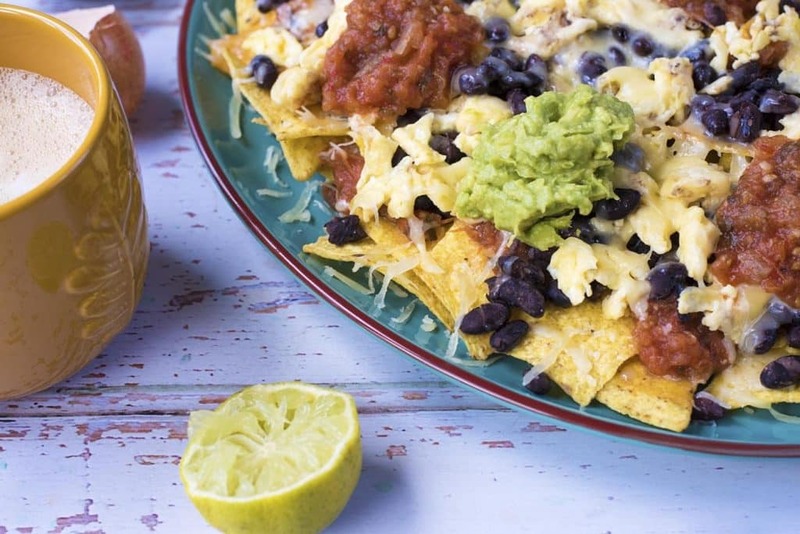 This is my favorite way to do nachos. 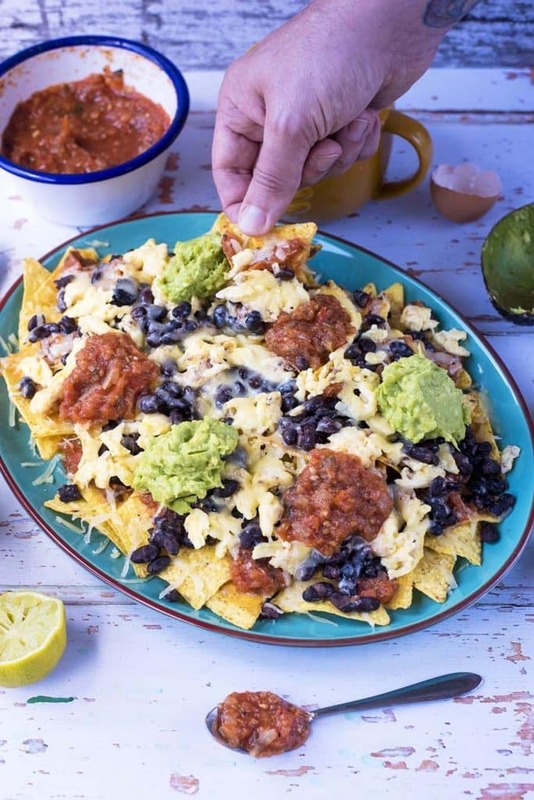 Black beans were meant for nachos!! 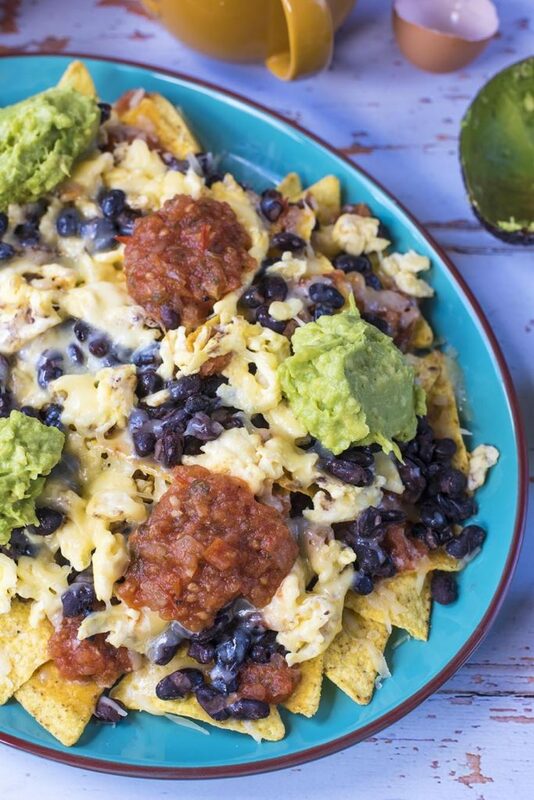 Nachos for breakfast?! Yes please!! 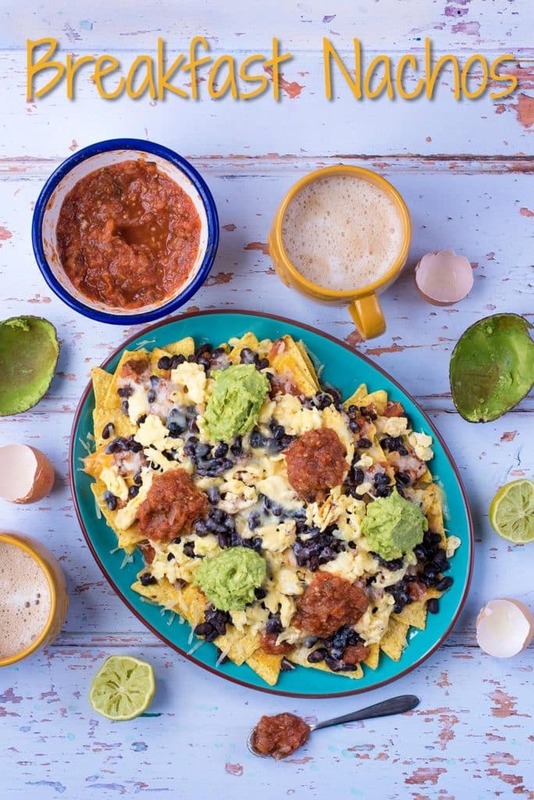 I love how you’ve dolloped the salsa and guacamole on different parts, instead of throwing it all on top like you see on most sites. Definitely going to be trying this asap! My first nacho experience sucked too! They were the kind you get at a high school football game. 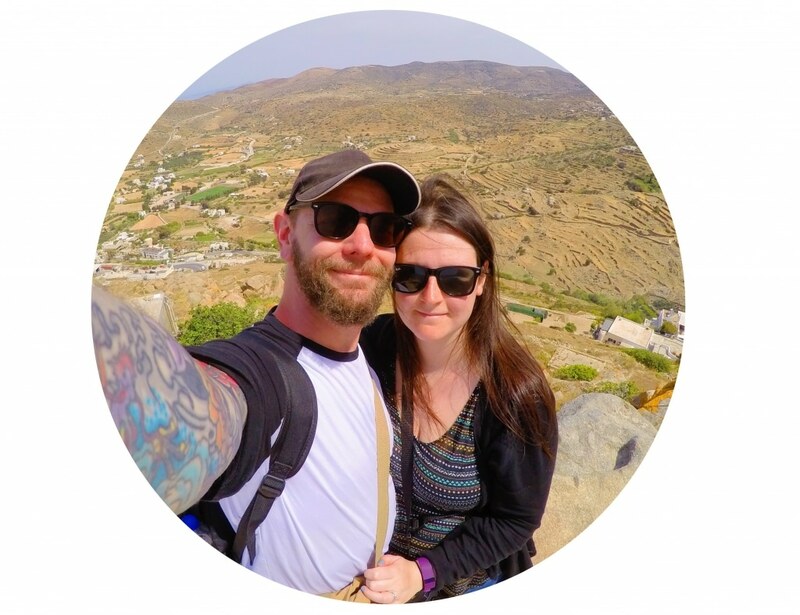 The cheese wasn’t real cheese — more like glue (my first kiss wasn’t much better!) Thankfully, I also gave nachos another try. I’ve never thought of trying them with eggs. What a great idea! these photos are stunning, and I LOVE the breakfast nacho idea! Oh my goodness these look absolutely amazing!!! Would definitely earn me some brownie points with the other half! 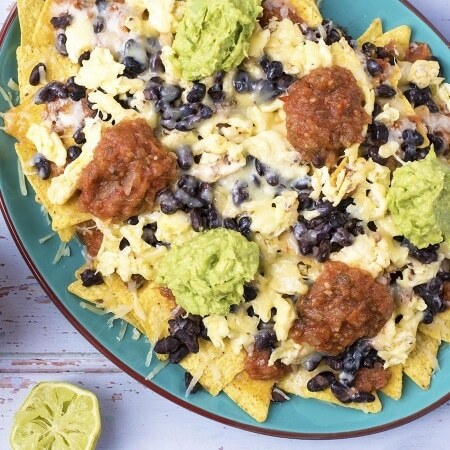 Mmmmm, and why not nachos for breakfast?? I love it that breakfast is taking on more savory options! Looks good to me! 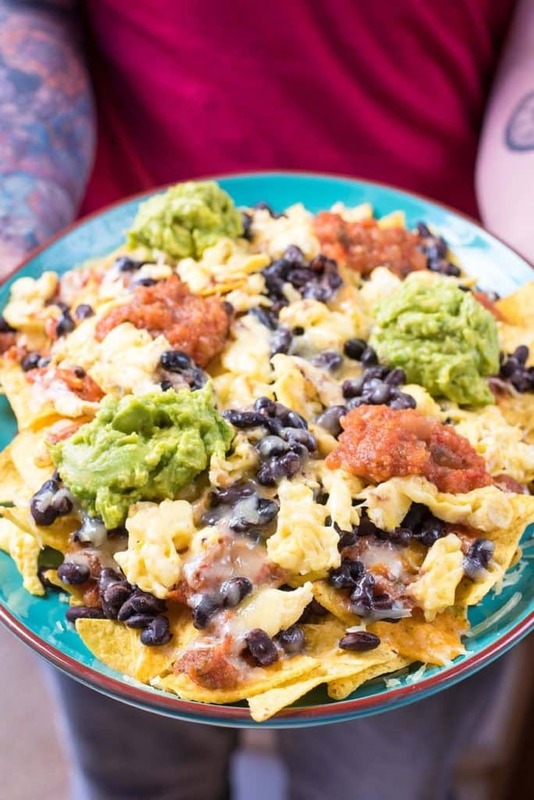 That is one awesome plate of nachos, and you’re right, nachos for breakfast? Absolutely! 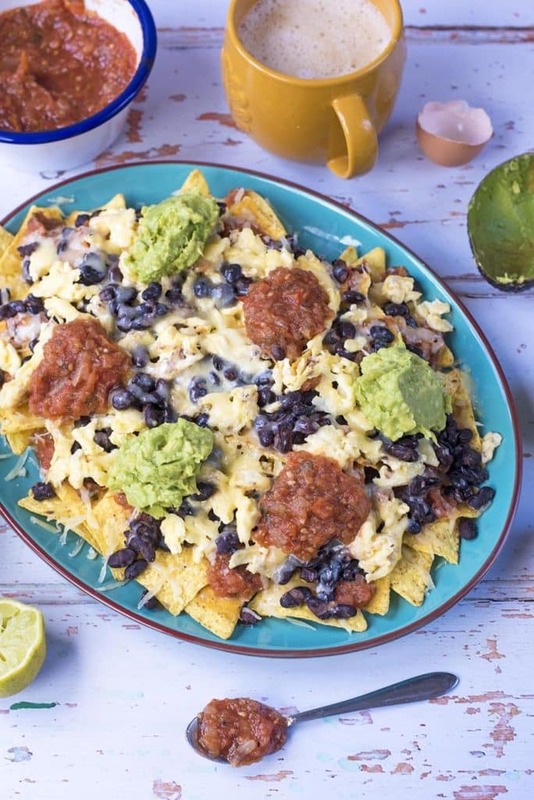 I just love the scrambled eggs on the nachos!